Need some help asap please. I received the notification there was a new software update available(I assume it is the 4.3 update) so i went ahead with the update. The s3 was on charge so no problems there. The update started and went to 100% and then the device restarted and now it is frozen on the Samsung start up screen. I have tried a reset (power button and home button) but this did not have any affect the Start up screen remained,i tried to boot the phone is safe mode(power home and vol up buttons) and this did not have any effect either. I pulled out the battery to restart the phone and it still remains frozen on the samsung start up sceen. Can anyone advise me on what to do?i need my phone for business over the weekend and i dont have a backup phone. mine has done this too, did either of you manage to fix it? facing the same issue. Took it to a Samsung service centre. Those ****tards are saying that there is a mother board issue and the whole mother board has to be changed. I mean, what sort of an update kills a mother board ? Could someone post an update on what happened when they tried the suggested solution? I'm pretty sure this is exactly my case. After downloading the 4.3 upgrade from (4.1.2) via software update in the Settings menu, when rebooting, my S3 got stuck in the booting stage, that is, the Galaxy S3 black screen. See below. After that, nothing happens. I've waited for 4hrs after the reboot but nothing happened. I tried removing the battery (and SD card & SIM card), and powered the device on, same state. I came to know that one possible reason why this weird stuff happened is that, our devices might have applications not being updated to their respective latest versions prior to installing the latest Android version, in my case, 4.3. But we are not here to back track these hundred possible reasons. We want real solution. I did not perform factory reset yet in the recovery mode as being mentioned here, it makes no difference at all. Please, someone could help us get through this mess. And thank you in advance. 2. Connect your device to computer. 3. Turn on your device. As with our case, it will get stuck in the splash screen logo. 6. Ignore if you see some prompts that say your device is unrecognized. 8. Enter your device's model name. (Ex: GT-I9300). Be aware of the uppercase letters. 10. Enter your S/N the click OK.
11. Then follow the succeeding instructions as it will now direct you to downloading your firmware. 12. Just wait until it's done and auto-upgrade with your device shall commence. 13. Then whoala! Welcome your device back! This works for me. 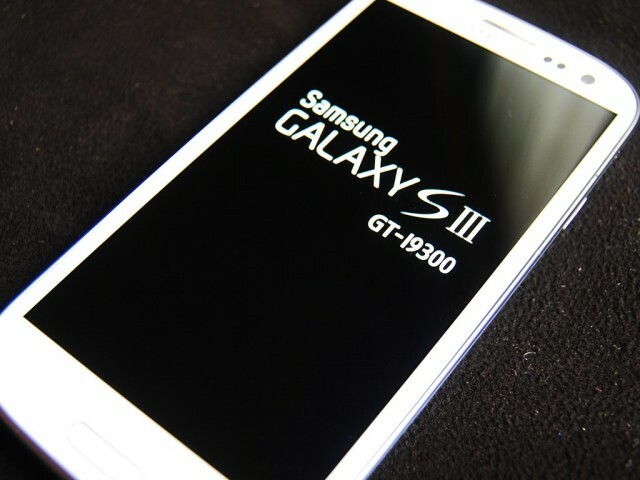 I have Galaxy S3. EgyAndrioder, Rowena Moore, vfaier and 5 others like this. For some strange reason Kies is not recognizing my serial number. just to clarify, the S/N is the same thing as the IMEI number on the back of my phone right ? how much time will it takes for the firmware emergency recovery to be installed? because mine 1% every 5 minutes. is it ok? nothing is happening. my screen is still frozen on the samsung screen. I am trying this solution. The device is at the Green Android screen right now (Downloading, Do not turn off Target !! ) but it is not connecting with the Kies software. It just keeps saying "Connecting". Not accepting the device name (GT- 19300) at the Firmware upgrade option. I have upgraded the Kies software as well. Still the my S3 is not connecting with the Kies. Can somebody please help !! Just so you know it's not the IMEI number it's the serial number that you have to introduce, this is on the back cover of your cellphone! Thank you thank you thank you!!!!!!!!!!!!!!!!!!!!!!!!!!!!!!!!!! I have the same problem!!! just the Android screen! Is it on right way? please anyway can help? Best deals on full price phones?